The two door design allows for more storage. A completely separate freezer allows for the control of temperature in either the fridge or the freezer. The flush back design with recessed handles alleviate any spacing issues. 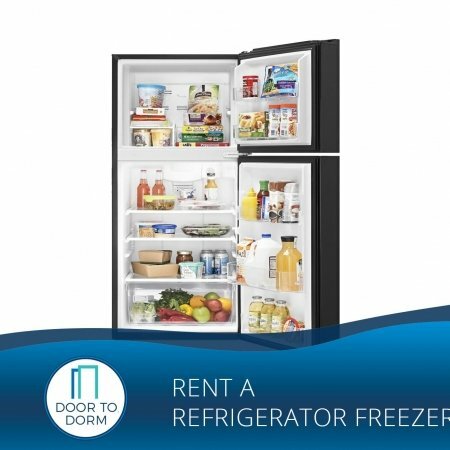 Rent a Refrigerator Freezer for a Single Semester. The transition from high school to college is exciting and stressful for parents and students alike. There are so many details to keep track of — the process can seem endless. 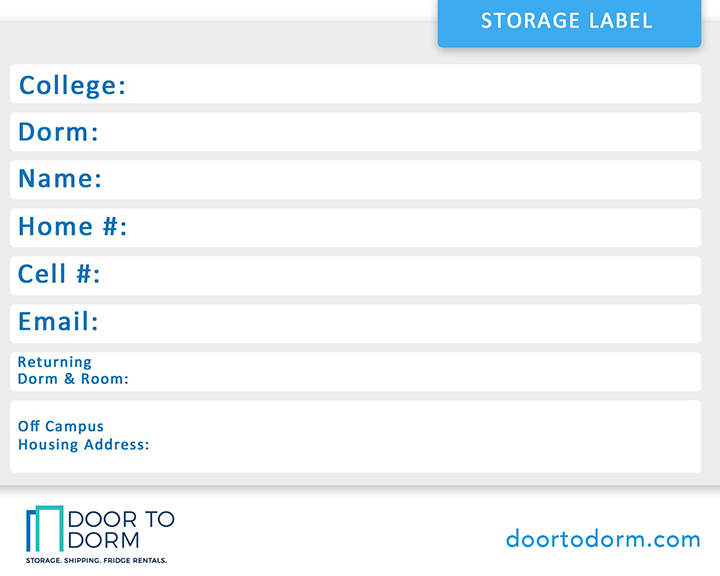 At Door To Dorm, our aim is to shorten that list and provide some peace of mind. 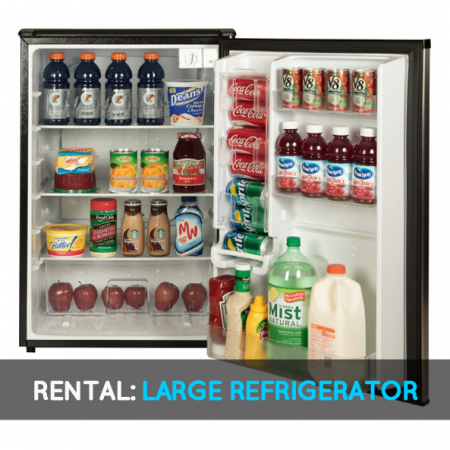 Our refrigerator rentals are all pre-approved by the school and we deliver all units to the dorm buildings. Our units are safe and reliable – if there is ever an issue with a unit not working, we are easy to get a hold of and take action quickly to resolve the issue. 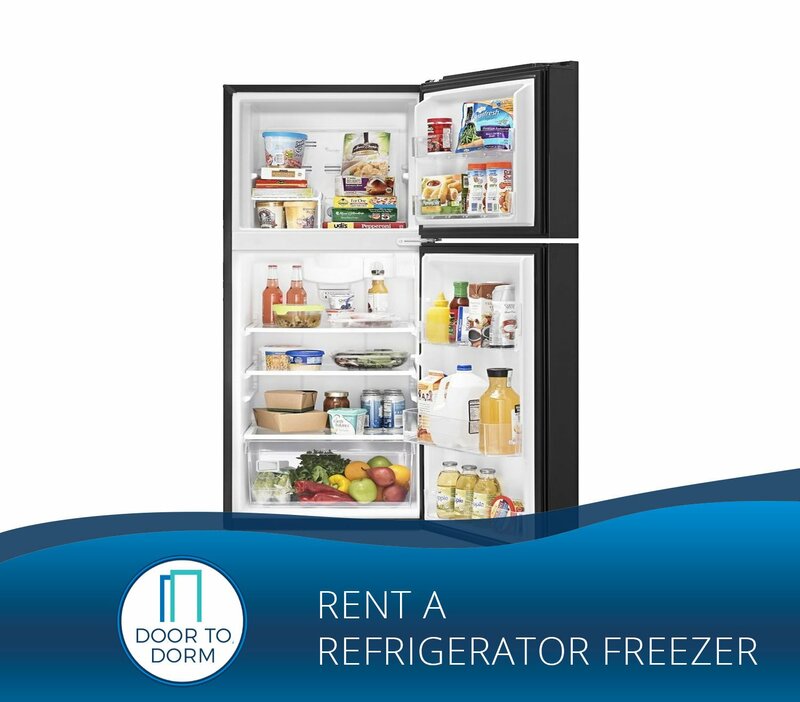 We know that safety is a priority, and that’s why we offer top quality dorm refrigerators. 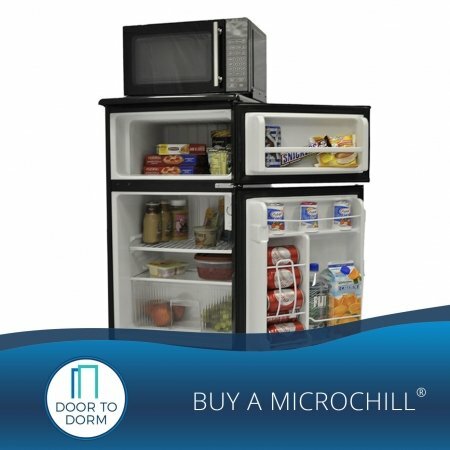 Door To Dorm offers products that make sense for you. Our energy efficient, space-saving micro-fridges are everything that a student needs to feel a little more at home. 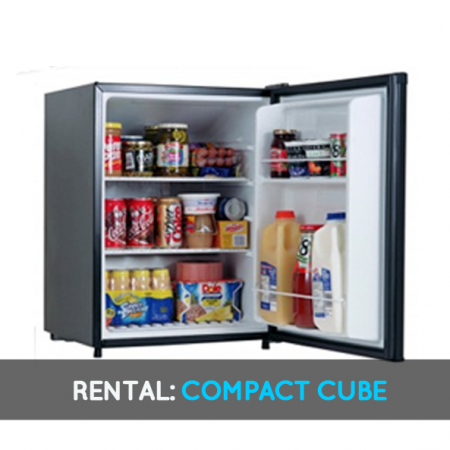 We also provide the option for a refrigerator/freezer combination or smaller refrigerators with convenient freezer compartments. College education expenses are rarely limited to just tuition. Renting our equipment can save money by empowering students to buy groceries and keep them fresh, as well as eliminating the need to purchase an additional appliance that may simply sit around and collect dust once the dorm days are over. The two door design allows for more storage. A completely separate freezer allows for the change of temperature in either unit; both operate independently. The flush back design with recessed handles alleviate any spacing issues. Available for both semester and full academic year rental. When your rental period is over, we will come to your campus to pick up your fridge. Note: Please make sure your cell phone is on and with you so we can call you and let you know we are ready to get your fridge.